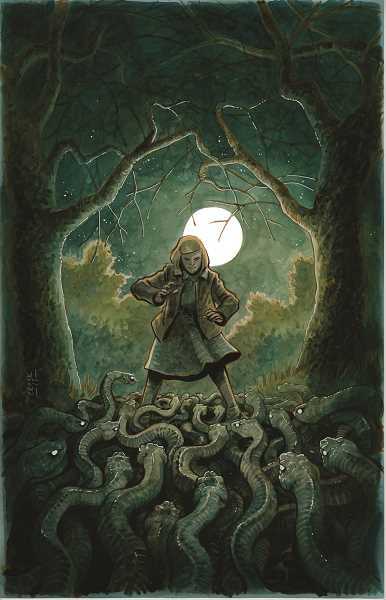 "SKELETONS: The spooky comic book of Tyler Crook" will open at the college's Alexander Gallery on Monday, April 2. It will feature a selection of pages from "Harrow County," created by Oregon-based comic book artist Tyler Crook and published by Dark Horse Comics. The exhibit also highlights the process of creating a comic book page. In "Harrow City," a young woman living in rural North Carolina in the 1930s begins to manifest magical powers around her birthday. She learns that these powers are linked to her town's past and the goblins who occupy the nearby woods. Crook will discuss his work at an artist's reception from noon to 1:30 p.m. Wednesday, April 11, in the gallery in the Niemeyer Center on the school's Oregon City campus, 19600 S. Molalla Ave, Oregon City.